Is Bob Kraft’s hoped-for soccer stadium in Dorchester dead? 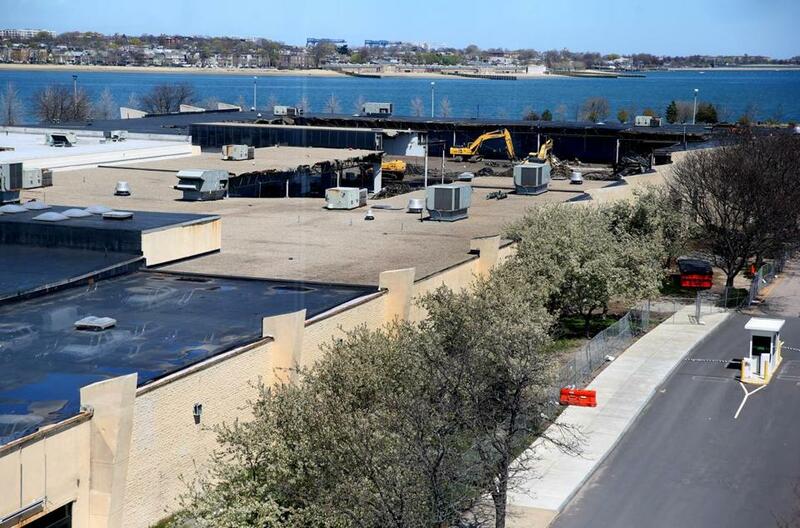 The site of the former Bayside Expo Center could be the location for Robert Kraft’s planned soccer stadium, but he would also need to take over the adjacent property, which is currently the headquarters of the Boston Teachers Union. After more than a year of discussions, the effort to build a professional soccer stadium in Dorchester is all but dead. How can this be when the major players — Governor Charlie Baker, Mayor Marty Walsh, and University of Massachusetts president Marty Meehan — are all rooting for Bob Kraft to bring his New England Revolution to town? The finger-pointing has begun, and if Kraft goes away, blame the Boston Teachers Union. At issue are the 2.7 acres the union owns on the site where Kraft would like to put his sports venue. The union, I am told, is asking for a deal that Kraft, a billionaire who also owns the New England Patriots, thinks is too rich. Kraft needs about 10 acres for his stadium, and much of that would come from UMass, which is offering a long-term ground lease on what was the Bayside Expo Center. 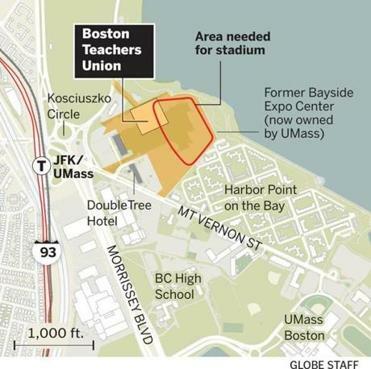 The university bought that site out of foreclosure and plans to expand the UMass Boston campus there. But the stadium doesn’t work without Kraft taking over the adjacent property, too. That’s where the union has had its headquarters for four decades, on what was the old Bayside Mall shopping center. The building is dilapidated, and union brass know it’s not worth saving. They filed plans with the city two years ago to replace and expand their headquarters. When a wealthy sports mogul wants something you have, it would be stupid not to drive a hard bargain. That’s exactly what the BTU has been doing. To help reach an agreement, Walsh offered many sites for a new union home. The BTU — whose members include about 5,500 teachers and 3,500 retirees — needs a facility for meetings and training, as well as its credit union and eye-care center. When nothing caught the union’s fancy, UMass offered a land swap, and talks seemed to be progressing when the BTU settled on another site at UMass Boston. But that wasn’t enough, and the union recently asked for at least $17.5 million in cash. It also wants Kraft to pick up costs related to relocating and rebuilding, bringing the total package to nearly $30 million, according to people briefed on the matter. Now billionaires stay billionaires by not overpaying for anything, and this proposal might have been the last straw for Kraft, who ironically has a reputation for being a tough negotiator. He wants a soccer stadium in Boston, but not if it feels like he’s being ripped off. Is the union asking too much? Certainly the land isn’t that valuable, judging by UMass’s purchase price for the Expo Center. The former trade show hall and grounds span nearly 20 acres, and the university paid about $18.7 million for it in 2010. Yes, the university got that for a song in the depth of the recession, but real estate prices in Boston haven’t skyrocketed so much that 2.7 acres are worth more than 20 acres. Of course, the true value of the union’s land is what Kraft is willing to pay for it. He has proved to be a patient buyer, having spent more than a decade looking for a new home for the Revolution. The team currently plays in Gillette Stadium in Foxborough, a venue designed for football. It’s too big for soccer, and the Revolution are one of the few teams in Major League Soccer without a stadium of its own. 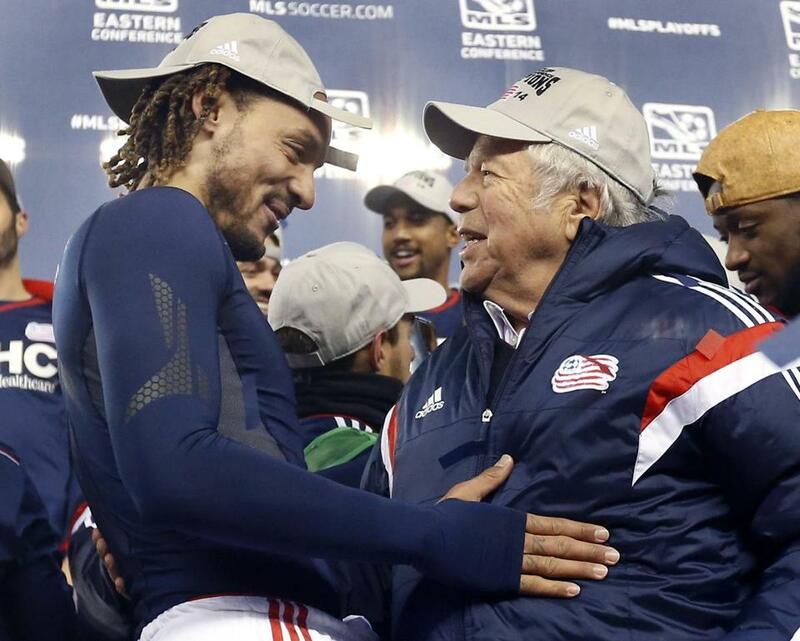 New England Patriots owner Bob Kraft (right) wants to build a soccer stadium somewhere in Boston, but the Columbia Point option appears to be gone. Kraft seems ready to move on. He wants to privately finance a $250 million stadium that would seat 20,000 to 25,000 fans. The longer he waits, the more money a stadium will cost him, given that borrowing costs will likely rise if the Federal Reserve delivers on plans to boost interest rates as many as three times this year. So what should happen here? Let’s all agree that the teachers and retirees who count on the union deserve to be made whole and then some. But they risk getting nothing unless they are willing to back off a bit. If this deal dies, that would be a shame because a stadium would have helped accelerate the revitalization of Columbia Point. With the boom in South Boston spilling over to Dorchester, this neighborhood should be next. The Bayside site was also slated to be the athletes’ village if Boston had won the bid for the 2024 Summer Olympics. Without a catalyst, it may take another decade for Columbia Point to blossom. The stadium would have forced the state to finally fix Kosciuszko Circle, the notoriously treacherous rotary at the entrance to Columbia Point. Because soccer fans also take the T, the state also would have had to open up its wallet to upgrade the nearby JFK Library/UMass Red Line and commuter rail stop. As for UMass Boston, the lease with Kraft would have provided a steady stream of revenue, enough to jump-start more expansion. UMass wanted to use the soccer money to help develop the rest of its Bayside parcel for academic space and student housing. Officials also hoped to have enough money left over to fund scholarships as well. Richard Stutman, president of the Boston Teachers Union, can come across as an obstructionist, but he doesn’t sound that way when you talk to him. “The BTU wants to work with the city, UMass, and the Krafts to reach a solution that meets all of our respective needs,” said Stutman, after giving me a tour last week of the union’s headquarters. Kraft has endured thorny negotiations before. He haggled with Boston and Hartford officials before deciding to build Gillette in Foxborough. He is credited with saving football when he helped broker a deal with players that ended the NFL’s 136-day lockout in 2011. Stutman is in the red zone. But he won’t score unless he comes up with a different play. 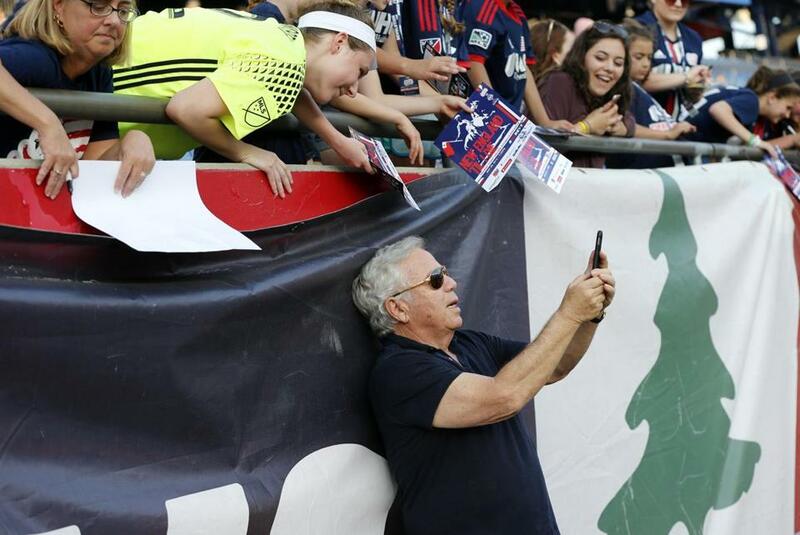 Kraft took a selfie with Revolution fans before a 2016 game. The Revolution now share Gillette Stadium with the Patriots.